Tweeple Teach Culture & Dress Sense To Priyanka Chopra For Meeting Modi In Short Dress & Legs Crossed! Priyanka Chopra and PM Modi met in Berlin for a short time out of their busy schedule. For which, Priyanka Chopra also put a pic on her Instagram account thanking Modi for taking time from his packed schedule to meet her. “Thank you for taking the time to meet me this morning Narendra Modi Sir. Such a lovely coincidence to be in Berlin at the same time,” wrote Chopra. Well, what didn’t go well with our twitteratis was Priyanka Chopra’s dress. 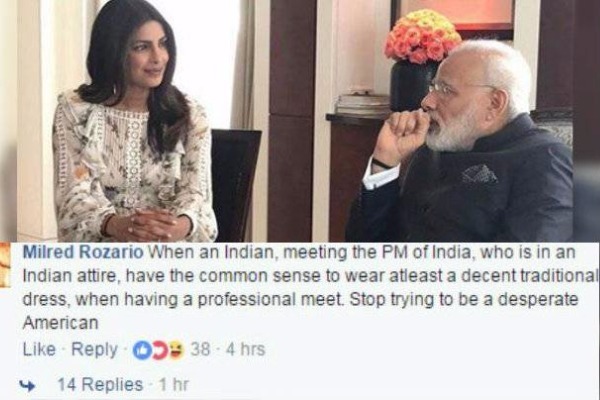 She was trolled for her inappropriate dress sense for meeting PM. She was shamed and taught her sanskars on Indian culture and showing her legs. Not just Twitter, her FaceBook account too is fired with hundreds of comments from men and women for sitting her legs crossed in-front of Modi. 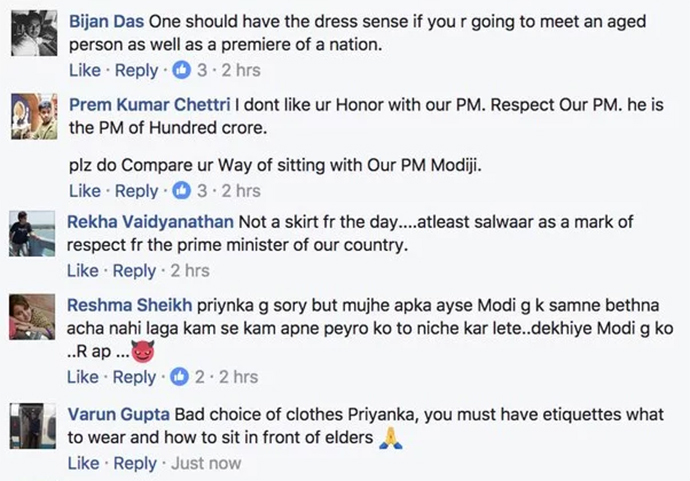 We don’t think that PeeCee wore something not respectful. It may have happened that she wore the dress that she wanted to for her movie promotions and didn’t get a chance to think on what to wear for meeting with PM Modi. Some people always spit venom no matter what. 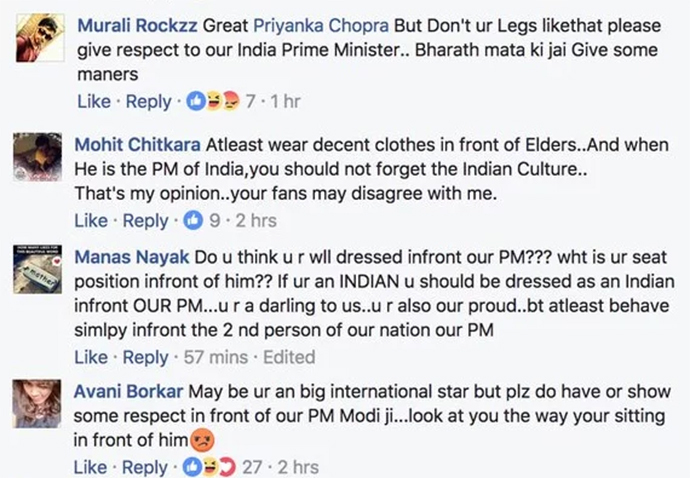 What is your say on Priyanka Chopra shamed for showing her legs in front of Modi ? Tell us in the comments box. Previous : Twitter Suspends Singer Abhijeet Bhattacharya’s New Account AGAIN!